“What the women I write about have in common is that they are all rebels with a cause, and I see myself represented in their mirror,” asserts Alicia Gaspar de Alba. Looking back across a career in which she has written novels, poems, and scholarly works about Sor Juana Inés de la Cruz, la Malinche, Coyolxauhqui, the murdered women of Juárez, the Salem witches, and Chicana lesbian feminists, Gaspar de Alba realized that what links these historically and socially diverse figures is that they all fall into the category of “bad women,” as defined by their place, culture, and time, and all have been punished as well as remembered for rebelling against the “frames” imposed on them by capitalist patriarchal discourses. In [Un]Framing the “Bad Woman,” Gaspar de Alba revisits and expands several of her published articles and presents three new essays to analyze how specific brown/female bodies have been framed by racial, social, cultural, sexual, national/regional, historical, and religious discourses of identity—as well as how Chicanas can be liberated from these frames. Employing interdisciplinary methodologies of activist scholarship that draw from art, literature, history, politics, popular culture, and feminist theory, she shows how the “bad women” who interest her are transgressive bodies that refuse to cooperate with patriarchal dictates about what constitutes a “good woman” and that queer/alter the male-centric and heteronormative history, politics, and consciousness of Chicano/Mexicano culture. 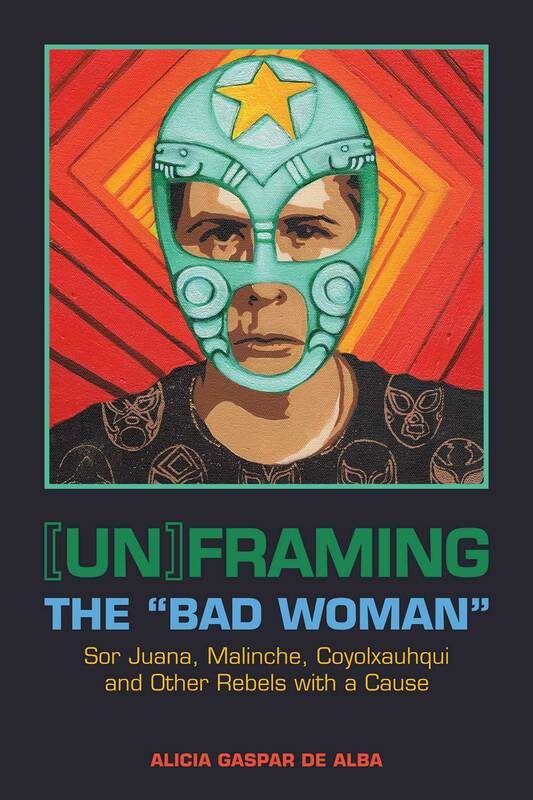 By “unframing” these bad women and rewriting their stories within a revolutionary frame, Gaspar de Alba offers her compañeras and fellow luchadoras empowering models of struggle, resistance, and rebirth. An activist scholar who uses theory, pedagogy, and fiction for social change, Alicia Gaspar de Alba is Professor of Chicana/o Studies, English, and Gender Studies and Director of the LGBT Studies Program at UCLA. She has published ten previous books, among them an award-winning historical novel on Sor Juana Inés de la Cruz, currently being adapted to a movie in Mexico; an award-winning mystery novel on the Juárez femicides; a monograph on Chicana/o art; and three academic anthologies.